Hello my name is Joan, and I would like to connect with you to help you discover new inspirations and insights in your life. I have worked as a psychic and healer for many years, guiding and assisting people to overcome their problems. For as long as I can remember, I have always been fascinated by the psychic world. Whilst I came from a traditional family with very strong morals and values, I always felt that my dad was psychic. This compelled me to undertake many studies and courses in Psychic and Spiritual Development to discover my own psychic abilities. Whilst I was studying, my psychic abilities became so apparent, they felt second nature to me. My teacher and mentor saw in me that I had these gifts, and urged me to follow this path. Today, I have never looked back, and I am grateful to have met such a wonderful soul who has taught me well. I used to be a mobile hairdresser and one day, as my client and I were enjoying a cup of coffee in the kitchen, (waiting for her hair colour to develop) this apparition appeared behind her. As the apparition became clearer to me, I could see a handsome man with a moustache. The man put his arms around my client as if to protect her. As I explained to my client what was happening she smiled, and asked me to follow her to the next room. She takes out a photo album and says; “Look through the album, and see if you can pick him out.” I found a photo of the man I could see in the kitchen. She told me that it was her brother from Egypt who had died in a car crash when he was young. I said that he was protecting her, and she affirmed that at times, she had felt her brother’s presence around. 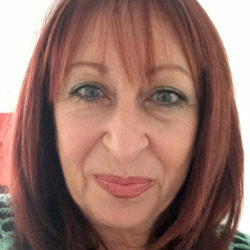 Thank you for taking the time to read my profile and personal psychic story, (which is just one of many I have experienced.) With the help of my guides and angels, I am positive to discover the best outcome for you. If you would like a reading with me please use my ID No. 2044. Joan is rated 6.0/6 from a total of 41 Rated Reviews. Hi K.M. and thank you for your review. Keep positive and all will be revealed to you as I see it. Always a pleasure speaking with you. Love and light. Hi Lynda, thank you for your review, it's always a pleasure talking to you. I am happy that I was of some help to you so that you can see things clearly. Love and light. Hi E & D'law. Thank you so much for your kind words, it gives me great pleasure to know that I have helped you in your time of need. Wishing you and your loved ones a Merry Christmas. Love and light. Joan is the BEST and most ACCURATE psychic you will ever find. My situation is very unique and complex. Even in difficult times when things seemed to be going the other way around, Joan always remains firm in her predictions, and unlike some other psychics doesn't chop and change each time you call her. She makes a prediction and she sticks with it. She has been my rock in a very difficult time. Hi Mandy. I am so grateful for your review and I am also glad that I was of some help to you, to put the pieces of the puzzle together. Love and light to you. Hi A. and thank you for your kind review. I hope I have given you insights to your future. Keep positive… things will eventuate soon. Love and light. Man I love this woman! This woman is so right! I hate to admit it, but she is right so many times! Joan I love you! Thank you so much for all your help. Hi Justin, I'm so happy that things that I have told you have come to pass. Love and light. Joan thank you so much for your reading. Accurate and spot on. Gratitude and blessings. Hi Rebekah and thank you for the review. Your kind words truly mean a lot to me, especially from one psychic reader to another. Love and light to you. I have had many a reading with this fabulous lady. To say that she has kept me sane is an understatement. Many of the things that she has foretold for me has occurred, and I’m sure all the rest will come to fruition too! Be warned, she is "brutal"! She definitely doesn't tell you what you want to hear, and only tells you the truth in what she sees in the cards and through her intuition. Thank you so much for your kind review J.B. You tell it as it is and I'm grateful for it, I know that things will work out for you in the end. Hang in there. Love and light. Joan continuously gave me two warnings before things happened and all came to truth. She is particularly good at analyzing the situation. And she is always warm and kind which makes the reading a pleasure and a comfort. Hi Ferfer. Thank you for leaving me a review. Hoping for a bright future for you as I see it. Love and light. I have had many readings with Joan… there is another testimony way back. Well I am giving her another rating as always very intuitive and very accurate! I have had a few things happening in my life… whenever I talk to her we put the puzzle together. Still waiting for one to happen and I am very positive it will happen. I just once again want to say thank you Joan, you are a fantastic reader! Hi Rebecca. It is always a pleasure talking to you. You know how the process works and I truly hope with all my heart that the last prediction comes true for you. Love and light. I had a fabulous reading with Joan today. I had a reading with her a few months ago and her reading this time backed up what she had said previously. I’m really looking forward to the coming months and her prediction coming true. I'll definitely call back. Hi Nerissa. Thank you so much for the review and hoping to hear from you that the predictions have come to pass. Light and love. I have had a few readings with Joan. She is amazing. Her predictions have come true. Thank you so much Joan. I have appreciated your honesty and your advice. Hi F.S. I knew that with time and patience what you were hoping for would eventuate. Thank you for believing in me and thank you so much for your review. 6 star reading experience once again with you Joan! Thank you very much for the reassurance and enlightenment you exude through your readings with me. Fingers crossed, I'll keep you posted. Thank you E & D'law for your lovely review… very much appreciated. Glad I was able to help… makes my job worthwhile. Love & light to you too. You told me that a man from my past was around and coming in very soon. I denied this as I couldn’t think who. That afternoon an old friend called and he fits your description lol. We shall see if the rest transpires... hopefully I don't block anything. Thanks for everything. Hi Megan. Thank you for your review, so happy that one of my predictions has come to pass. There is still more to come. Love and light. Hi Anonymous. Love to hear that all that I have told you has come to pass. You give me the confidence I need. Love and light. Hi Joan! I wish to say thank you very much for the reading. So far you were the only one able to pick up on the training that I am currently doing which caught me by surprise! Keeping all my fingers crossed; you have a very calm and reassuring way on relating your reading. Definitely hoping to speak to you again! God bless. Hi Elle, it was a great pleasure speaking to you. We connected instantly and I see great things coming your way. Love and light. Hi Anna. Thank you for your kind review. I am glad my words give you some comfort and it's always a pleasure to read for you. Love and light. Hi Jennifer. Thank you so much for the review. It came as a surprise considering it was the first time I spoke to you. I am so happy that what I had to say resonated with you, and that I was able to help. Thank you so much Joan for your insight into my situation. You gave me so many details and were very accurate. Hopefully things work out as you said. You were great to talk to and will let you know how things progress. Thank you so much G. for your review. It really means a lot to me. Wishing you lots of love and light. Thank you so much for a brilliant reading Joan. I spoke to you a few weeks ago and you said the same things to me today. You were spot on about the situation. Looking forward to it all falling into place. Will definitely let you know how things are going. You are amazing. Thank you. What can l say about Joan? Everything she predicted has come true. l can’t thank you enough! Amazing. I like to remind Joan that my partner was foretold accurately and other details that are ongoing. Thank you for your guidance always. Hi Jan. Thank you so much for your kind words. Much appreciated with lots of love. An absolutely lovely lady! So accurate and just enjoy talking to her, she'll tell you the truth but delivered in a compassionate way. One of her predictions have already come to pass. Looking forward to the others. Dear Joan. You have read for me for many years. Your predictions have been pretty accurate. What I love is that you will never tell me what I want to hear but what I need to know, you do not sugar coat my predictions nor do you judge. You tell me what is. Your humorous and loving approach always allow me to feel comfortable to reveal my private concerns with you so that you can allow me to grow. If anyone is looking for a reading with you, I hope they read this and see that you are gifted, compassionate and trusting. Thank you for all my readings and for your patience and truth. I hope your latest predictions keep unfolding the way they have been! I would just like to leave a very big thank you to Joan as she has been a true psychic to me. I am evolved myself and absolutely recognise who she is. I have often phoned for a reading from her. She is usually very accurate. And I trust her insight with utmost anticipation. Thank you to Joan for being on this site. I have been talking to Joan now for two years and so far she has been spot on. Thank you for your support and help. Excellent, very helpful and friendly. Joan is excellent. She predicted that I will marry a professor of a certain description and she was absolutely right, as I have been asked by a professor as she described to marry him. Joan is by far the best reader. She is so accurate and I had to call her again a few weeks later to let her know everything she told me was 100 percent spot on. You won't be disappointed. She is worth every second. Top end reader - 6/6 she gets the job done. Thanks. Joan is exceptionally accurate. Even when I doubted a situation, Joan remained consistent with what was to happen and it all came true - Joan you are an absolute star - thanks for your insight. I have had many readings with Joan over the years, and she has always been consistent, honest, compassionate and understanding. She was spot on with picking up on what is happening and her future predictions have come true. I always come back to her whenever I feel confused and need clarity on what is happening in my life. She is straight forward and gets to the point. I had a very helpful reading from Joan today. She answered all of my questions and more, put my mind at ease and offered very wise advice, gave me peace of mind and direction for the future and she made several predictions. I will come back and write here again to say how things turned out. Will recommend Joan to my friends. She is a very thorough wise reader. Thank you Joan! Joan is excellent, her readings are always accurate and she has been able to pick up on situations. Highly recommend. Joan's readings for my situation are always accurate. All her predictions for my situation have eventuated. She's caring, supportive and we do also have time for a laugh. Thanks Joan for your continued support. I had my first reading and it was so spot on that I rang for a second time and hope this one is spot on too. Joan is a great reader. Thank you so much. I have had an ongoing difficult situation that I have been speaking with Joan and a couple of other readers about. Joan picked up on the situation and has restored some calm to my messy thought process. I look forward to Joan’s predictions and recommend a reading with her for anyone that is struggling to understand their situation. Joan the insights you give are simply spot on. No doubt you have talent. Thanks. I highly recommend Joan. Over the past two years we have spoken three times and she has been very truthful and direct regarding my life situations. Her advice is non-judgemental and what she sees she tells you. Regarding my relationships I can tell you now she has been uncannily insightful. She assists me to see the truth of a matter, where someone else I am asking about is at and her guidance for myself sits well within my own inner knowing. We get to the core of a situation when we chat and I have made solid choices that I have been pleased (sometimes not straight away!) to see the outcomes as the result has unfolded. Many thanks. Joan was able to pinpoint the situation between myself and a person, his insecurities, why he did it, even to his past relationship. She can see the true connection. Joan could tell I am a highly intuitive person who was experiencing negative energy shifts and affirmed all my insights, picked up details and even feelings. By the end I felt so much more balanced and myself. So I trust her prediction because in life, it’s up to you to make the best of the opportunities your way. So it will happen if you are willing to put in the effort to make it. Thank you for your predictions. You are confident about it too. Thank you Joan! Very positive and accurate reading, very down to earth and very believable! Confirmed certain beliefs and most of all reassuring! Well worth a good reading. Thank you again Joan. Joan confirmed everything that my spirits have told me. Whether you are seeking confirmation or guidance then Joan will surely keep you at peace. Blessings to you Joan. I have had readings and healings from Joan for a while now. She is easy to talk to and very direct and to the point. Joan has been particularly good at romance and work readings, often predicting the next person I will meet. Give her a try. You will enjoy it. Joan was incredible with her accuracy. She told me things that no one would have known, she is a very caring reader who knows what she is talking about. I have already recommended her to my friends. Joan is very good and picked up so much with no prompting what so ever. I feel grounded from talking with her and listening to her accurate insights and predictions based on her thorough awareness of my situation. Thank you Joan. Joan has a lot of insight in the things I have asked her. She told me something important that I needed to know about my life and it came true. She has a deep caring nature with a very special gift of reading. Thank you Joan. What can I say about Joan? Wow. What a gifted lady. She not only helps me but gets it right, all the things I wanted to know she double checks everything with her abilities and gets it right. She cares but she tells the truth with what she sees and does not sugar coat things. That's good because I knew I wasn't wasting my money on a real reading. Thank you Joan. 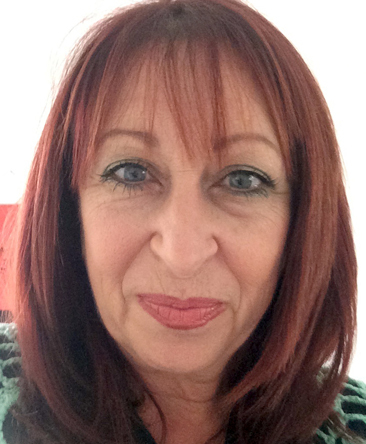 Joan is a gifted and incredibly talented clairvoyant who has impressed me with her amazing psychic abilities. Her accuracy is outstanding and she has guided me with compassion and respect regarding my pressing personal issues over the year. Joan is a beautiful clairvoyant with a caring attitude and I feel very blessed to have crossed paths with her. I highly recommend this very gifted clairvoyant. Thank you very much Joan. You were so precise I just couldn't believe how accurate your reading was. Thank you and will talk to you soon.